When creating their preferred list of colleges, many students are looking for schools that will include the “big city” experience. New York is the obvious choice. However, students shouldn’t overlook the nation’s 7th largest city, Philadelphia, just a 90 minute train ride to the south. Surely it can provide the requested “big city” experience at one of its 35 area colleges and universities. Furthermore, 16 colleges in Philadelphia have at least a 50% graduation rate while accepting at least 50% of applicants qualifying them as 50-50 schools. Among the 16 50-50 colleges in the Philadelphia-Camden-Wilmington Core Based Statistical Area (CBSA), only five are public schools, two in Pennsylvania, two in New Jersey, and one in Delaware. They range in size from just under 900 full-time undergraduates to over 26,000. Just four are considered primarily non-residential with one of them being Temple University. The 75th% SAT 1600 scores ranged from 1100 to 1330. For the ACT the lowest was 23 and the highest was 30. Five of the 50-50 colleges in Philadelphia are some version of test optional. Three have Phi Beta Kappa chapters and one sponsors National Merit Scholarships. Unlike the private 50-50 Colleges in its more expensive northern neighbor of New York City, five of the colleges in Philadelphia have sticker prices under $50,000. There are six with price tags over $50,000 and four of those are actually over $60,000. With the exception of one private school and three of the public schools, these schools are probably not providing great need-based aid. However, some of these may be good opportunities for merit aid. At least three are providing merit aid to 40% or more of freshman without need based on Common Data Set information. And six of the private colleges have average net prices under $30,000 with another three being under $35,000. 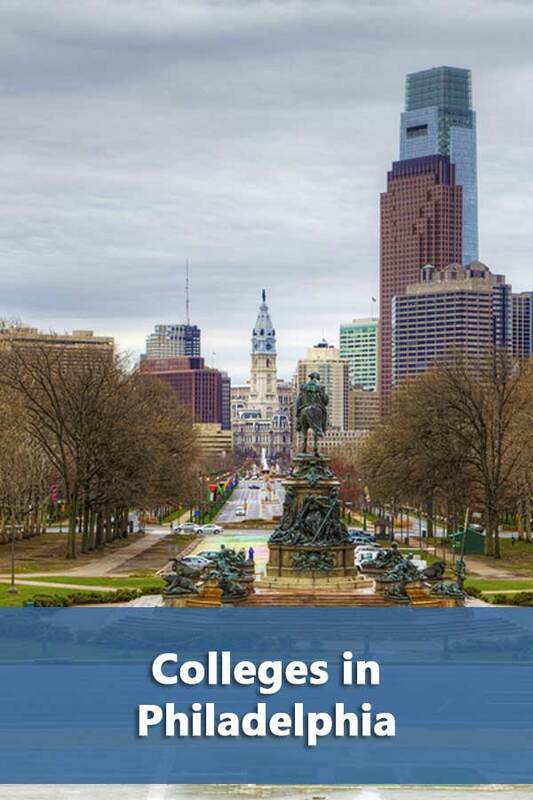 The following table lists 50-50 Colleges in the Philadelphia CBSA area. As usual, the 4-year graduation rate is used for private schools and the 5-year rate for public. The DIYCollegeRankings spreadsheet lists this information and much more for all Philadelphia area schools.